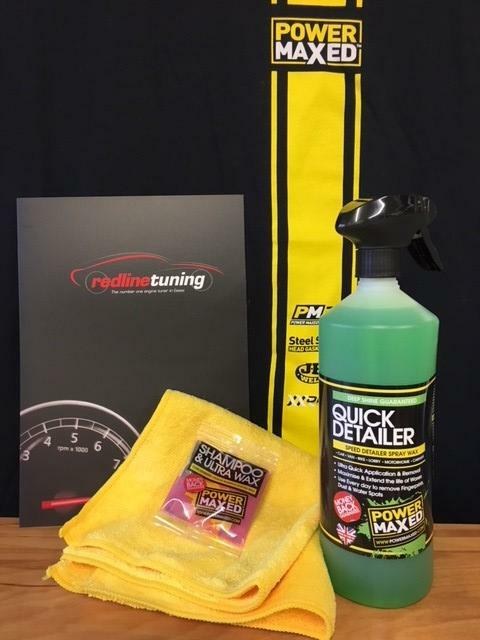 Power Maxed Quick Detailer 1 litre + Free Complimentary Micro fibre Cloth and Shampoo & Ultra Wax Sachet. 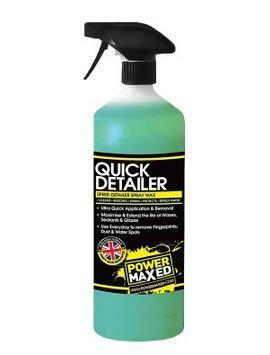 Power Maxed Quick Detailer is a gloss enhancing multi purpose spray. It repels water and withstands multiple car washes giving additional protection to your paintwork. It will safely remove dirt, fingerprints, water spots, bird droppings and tree sap without streaks and without the need to wash your entire car. It will reduce bugs sticking to the surface and is even safe to use on the windows! Safe on all exterior surfaces between washes and waxes to enhance your paint protection. Long lasting water beading action.